Simchat Torah signifies a joyous end to the High Holiday season at Congregation Ohr Shalom. We reverently pick up every Torah scroll we possess and dance around our small sanctuary. 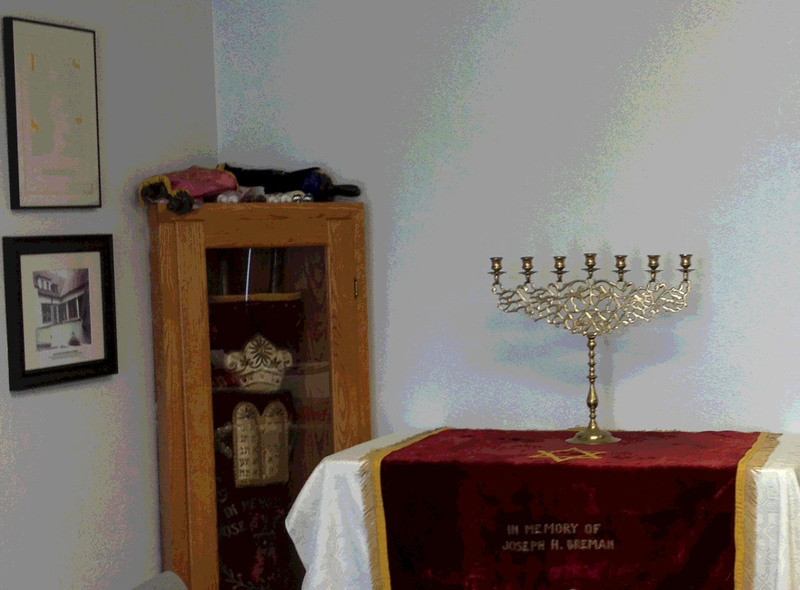 It is the one time of the year that we remove our precious Shoah Memorial Torah Scroll from its ark. We adopted this survivior of the Holocaust from the Westminster Synagogue collection. It came from the Pinchas Synagogue in Prague, Czechoslovakia and was scribed sometime in the mid 19th century. It is a beloved memorial in our sanctuary.